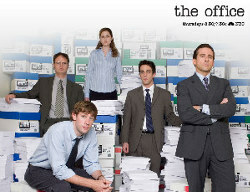 America, most think of a branch office of the Dunder Mifflin Paper Company and its quirky branch supervisor Michael Scott (played by Steve Carell). But one of the descendants of the founders of the city, steel moguls Selden and George Scranton, was William Scranton III, the progressive (or at least moderate) Republican governor of the state from 1963-1967. No sooner had he been inaugurated as governor than a “draft Scranton for president” movement began. 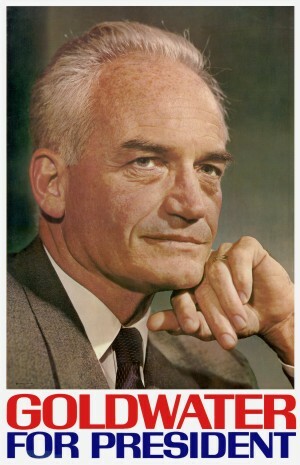 This might not have happened in ordinary times, but in early 1963, it was becoming clear that Senator Barry Goldwater of Arizona would be a serious Republican candidate for president in 1964. An affable fellow whom John F. Kennedy liked and hoped would win the nomination so that they could have a traveling debate show, Goldwater was a serious threat to the moderate-to-progressive wing of the Republican Party. This included Senator Jacob Javits about whom I have previously written. 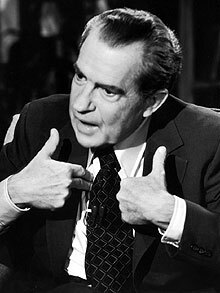 Richard Nixon was about as conservative as moderate members of the GOP could tolerate; Goldwater was considered beyond the pale. But Goldwater had learned a lot from his friend across the aisle, Kennedy, and he put together a juggernaut campaign in 1964, staffed by young, energetic, passionate, and resourceful individuals. Kennedy was going to be tough to defeat, and after Kennedy’s tragic assassination, Lyndon Johnson had the strength of the nation’s sympathy, so mainstream Republicans largely left the path to their nomination open for Goldwater. Scranton never declared himself as a candidate to oppose Goldwater; he just didn’t resist the “Draft Scranton” campaign initiated by his fellow northeastern Republicans. Scranton served the entirety of his term as governor from 1963 – 1967. He focused on the state’s educational needs, pushing through legislation creating the state’s community college system and a Higher Education Assistance Agency. Nothing earth-shattering, at least for the times, but unlike many of today’s Republican governors, he did not try to dismantle what was there. Under Pennsylvania law he was limited to one term, and when Richard Nixon was elected president in 1968, on the wave of one of his numerous comebacks, Scranton accepted a position as a special envoy to the Middle East. He favored an “even-handed” policy in the Middle East, meaning that he endured some enmity from the American Jewish community. When Gerald Ford assumed the presidency following another Nixon demise (his resignation), the new president asked Scranton to become United States ambassador to the United Nations. Scranton accepted the short-term appointment and focused on human rights; again a strategy rather foreign to recent Republican ambassadors to the U.N.
Also to Scranton’s credit is that he assumed a very difficult task following the Kent State shootings in 1970. He was chairperson of the President’s Commission on Campus Unrest. 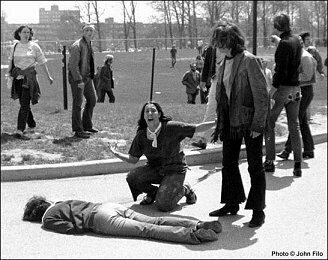 The “Scranton Report” called the Kent State shootings “unjustified” and acknowledged that the ebb and flow of campus unrest was directly related to U.S. escalation in Vietnam and Cambodia. As we write this, Scranton is 92 years old. His name has long since drifted from the headlines. His record includes accomplishments in the fields of education, human rights, and international cooperation. In light of the positions and demeanor of today’s Republican Party, his greatest accomplishments may lie in what he did not do. He did not seek to fragment; he did not demonize; he did not participate in the dismantling of government that Barry Goldwater and later Ronald Reagan advocated during the time that Scranton was active. If he were in the U.S. Senate now, would Scranton collaborate with Democrats? This falls into the world of conjecture, but it’s likely that he would keep his distance from the likes of Mitch McConnell or John Boehner. That would be a first step for today’s Republicans; to have the temerity to “just say no” to the bullying of its leaders in Congress and most virulent supporters in the populace. Of course this all begs the question of whether he could be elected today. It will be a fine day for the country when a William Scranton can be present and accepted in the tent known as the Republican Party. Previous Post:311. St. Louis still not on the map.